« Signes de Nuit » is an independent, international festival of short, experimental and documentary films, organized by the Association SIGNES DE NUIT in Paris. The main festival takes place in different central places and cinemas in Paris. During the year, the festival is invited to present selections of its program in festivals, cultural institutions and film schools on a worldwide base. Beside the international selections the festival presents programs from guest festivals and schools. is a popular film festival for our audience, and at the same time animportant meeting point for Norwegian and international film industry. TIFF 2013 will be the 23rd edition of the festival.The festival has had an incredible growth since it first commenced in 1991. The total of admissions in 1991 was 5200 – in 2012 it was 53488. This makes TIFF Norway’s biggest film festival. Tromsø International Film Festival screens challenging quality films for a local, national and international audience. Founded in 1986 by the Finnish directors Aki Kaurismäki, Mika Kaurismäki and Peter von Bagh, the Midnight Sun Film Festival boasts one of the most unique atmospheres of any festival in the world: top directors, up-and-coming talents, an international audience and the average person on the street come together in a sincere and warm atmosphere under the midnight sun. Without any formal restraints, the festival is best characterised by its pure love for cinema. The village of Sodankylä is located in the heart of Finnish Lapland, some 120 kilometres north of the Arctic Circle. “EcoCup” is the only festival in Russia, which familiarizes Russian viewers with a foreign ecological film. The uniqueness of EcoCup is in the synthesis of creative approaches to the concept of “ecology of life”. Environmental protection is a conscious choice, an action that brings results. All the films at the festival are shown in Russia for the first time. These films have participated in international festivals, they won the prizes and were shown in cinema houses around the world. was founded to emphasize the important role of non-feature films in cultural life of the country and allow national documentary filmmakers become more familiar with the world of international cinema. 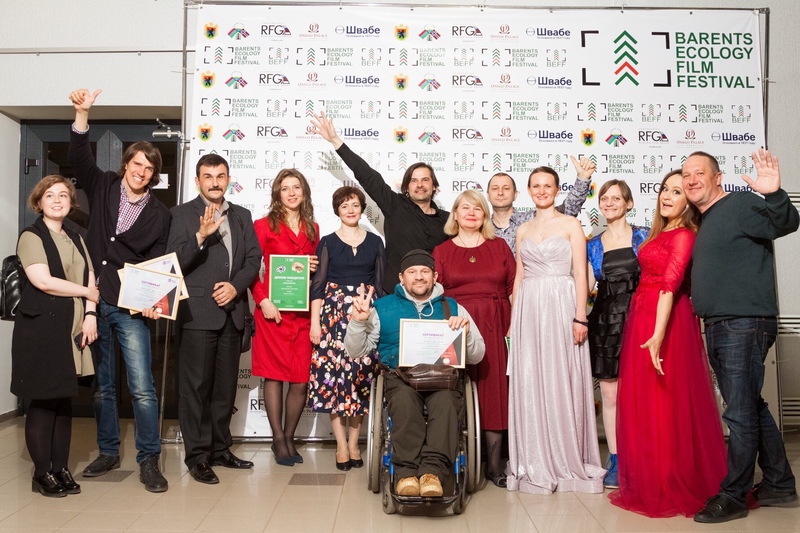 However, with years, the goals of the Festival had broadened and as a result, short fiction and animated films were added to the competition program. This year the Festival also makes a new step toward experimental films.Every year the Festival presents over 50 Russian premieres and more than 300 films from around the world are screened in competition and special programs. On average the Festival receives over 3000 films for selection each year. These films become accessible to every participant and guest of the Festival through the Festival’s video-library. For young people between 15 and 25 years old. Based at the youth Culture House TVIBIT in Tromsø, Northern Norway, NUFF has already a 7 year success-story. Started by the wish to support young local filmmakers and to get an idea how our neighbours making film and telling stories discovered NUFF the world of the Youth Cinema. Anyone aged 14-30 from Murmansk Oblast, other parts of Russia or abroad could take part in the festival. The main requirement is one’s own video up to 15 min. The festival has always been a great success. Young people like to watch films made by their peers, at the same time they are curious to try themselves as film directors. Founded in 1994 – with Michelangelo Antonioni Godfather – and supported by the Ministry of Culture, the Tuscany Region and ICE, the Festival is under the patronage of all the major Italian professional Film Guilds. It is realized in cooperation with Fondazione Sistema Toscana, and directed by Tommaso Mottola. Capalbio Cinema is one of the most prestigious festivals dedicated to short film.Founded 21 years ago with Michelangelo Antonioni as Godfather, the festival is supported by the Ministry of Culture, the Tuscany Region and is under the patronage of all the major Italian professional Film Guilds.